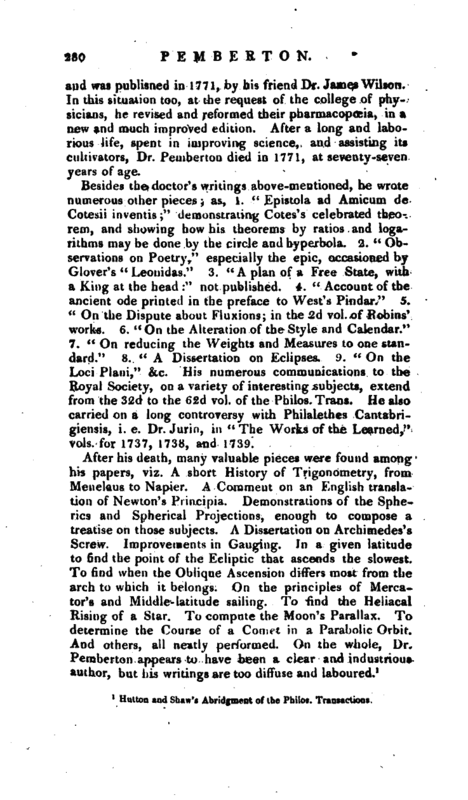 , a learned physician, mathematician, and mechanist, was born at London, in 1694. After studying grammar at a school, and the higher classics under Mr. John Ward, afterwards professor of rhetoric at Gresham college, he went to Leyden, and attended the lectures of the celebrated Boerhaave, to qualify himself for the profession of medicine. 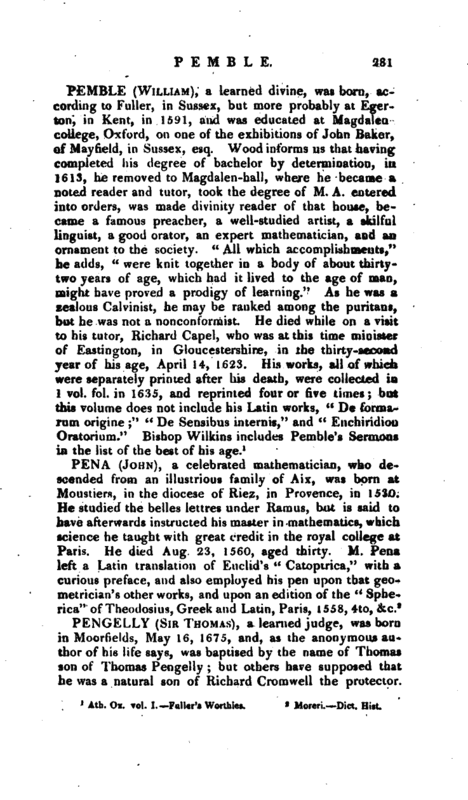 Here also, as well as in England, he constantly mixed with his professional studies those of the best mathematical authors, whom he contemplated with great effect. From hence he went to Paris, to perfect himself in the practice of anatomy, to which he readily attained, being naturally dexterous in all manual operations. Having obtained his main object, he returned to London, enriched also with other branches of scientific knowledge, and a choice collection of mathematical books, both ancient and modern, from the sale of the valuable library of the abbe Gallois, which took place during his stay in Paris. After his return he assiduously attended St. Thomas’s hospital, to acquire the London practice of physic, though he seldom afterwards practised, owing to his delicate state of health. 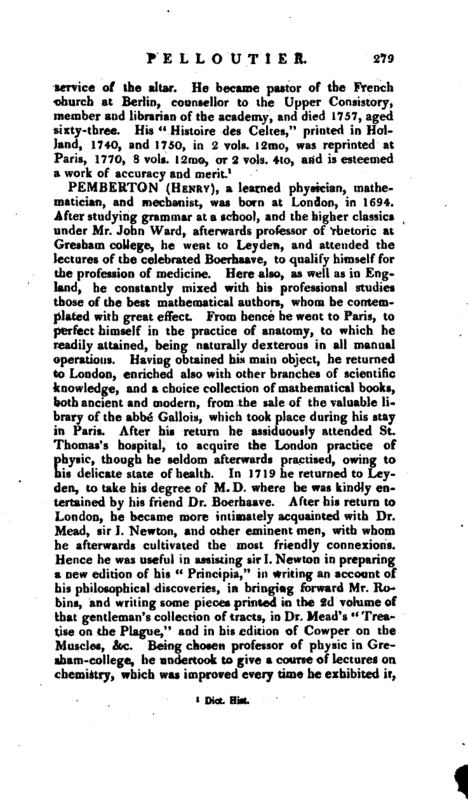 In 1719 he returned to Leyden, to take his degree of M. D where he was kindly entertained by his friend Dr. Boerhaave. After his return to London, he became more intimately acquainted with Dr. Mead, sir I. Newton, and other eminent men, with whom he afterwards cultivated the most friendly connexions. Hence he was useful in assisting sir I. Newton in preparing a new edition of his “Principia,” in writing an account of his philosophical discoveries, in bringing forward Mr. Robins, and writing some pieces printed in the 2d volume of that gentleman’s collection of tracts, in Dr. Mead’s * Treatise on the Plague," and in his edition of Cowper on the Muscles, &c. Being chosen professor of physic in Gresham-college, he undertook to give a course of lectures on chemistry, which was improved every time he exhibited it, | and was publisned in 1771, by his friend Dr. James Wilson. In this situation too, at the request of the college of physicians, he revised and reformed their pharmacopoeia, in a new and much improved edition. After a long and laborious life, spent in improving science, and assisting its cultivators, Dr. Pemberton died in 1771, at seventy-seven years of age. Besides the doctor’s writings above-mentioned, he wrote numerous other pieces; as, 1. “Epistola ad Amicum de Cotesii inventis;” demonstrating Cotes’ s celebrated theorem, and showing how his theorems by ratios and logarithms may be done by the circle and hyperbola. 2. “Observations on Poetry,” especially the epic, occasioned by Glover’s “Leonidas.” 3. “A plan of a Free State, with a King at the head:” not published. 4. “Account of the ancient ode printed in the preface to West’s Pindar.” 5. “On the Dispute about Fluxions; in the 2d vol. of Robins’ works. 6.” On the Alteration of the Style and Calendar.“7.” On reducing the Weights and Measures to one standard.“8.” A Dissertation on Eclipses. 9. “On the Loci Plani,” &c. His numerous communications to the Royal Society, on a variety of interesting subjects, extend from the 32d to the 62d vol. of the Philos. Trans. He also carried on a long controversy with Philalethes Cantabrigiensis, i. e. Dr. Jurin, in “The Works of the Learned,” vols. for 1737, 1738, and 1739. 1 Hutton and Shaw’s Abridgment of the Philoi. Transactions.